The Hawkeye Professional Package Contains every Hawkeye Indicator equipping you with the ultimate tools to trade Forex, stocks, futures, indices, cryptocurrencies, and commodities. Available for TradeStation, and NinjaTrader Platforms. The Hawkeye Total Package is available for MetaTrader 4 and TradingView platforms only. 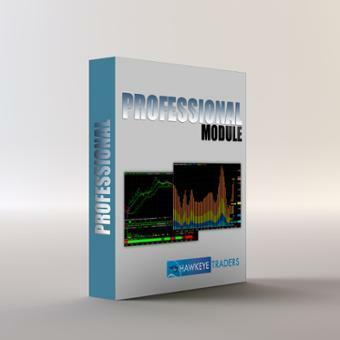 The Professional Package contains every Hawkeye Indicator equipping you with the ultimate tools to trade Forex, stocks, futures, indexes and commodities. Available for TradeStation and NinjaTrader platforms only. The Total Package is available for Metatrader 4 (MT4) and TradingView (TV) platforms only.